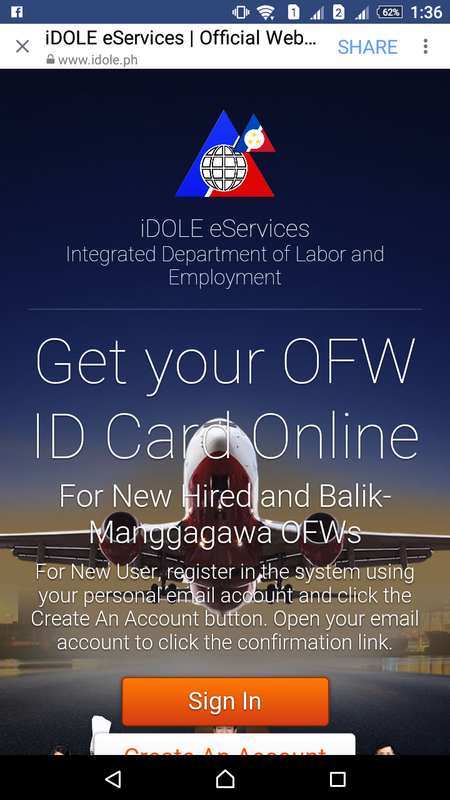 Ever wonder how an OFW ID, or the I-DOLE ID looks like? Here it is. Front and back copies provided by DOLE, that will be distributed starting this July 2017. 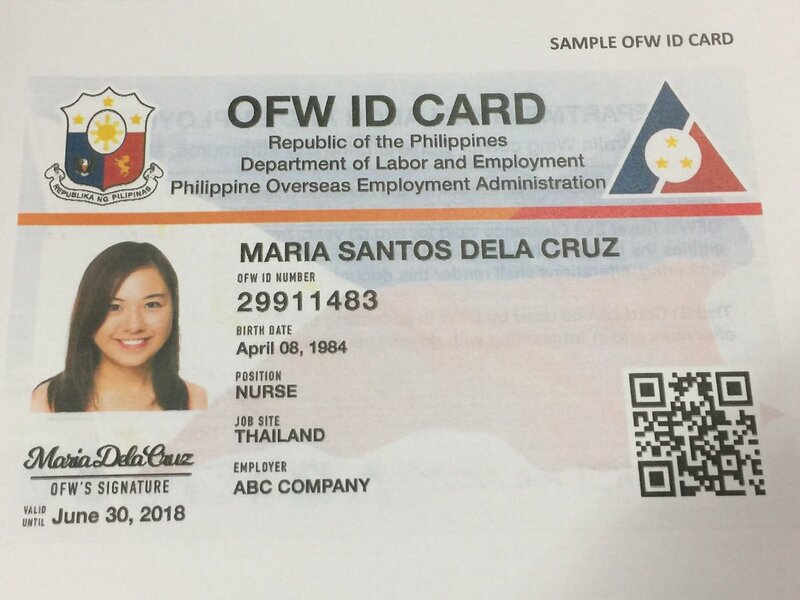 Tomorrow after the presentation to President Duterte at Malacanang, the DOLE and POEA will start producing this FREE OFW Identification card and will be distributed to POLO Offices or will be sent to OFWs. 1. No need to apply for the iDole or OFW ID. 2. All the bonafide OFWs who are listed in the POEA will acquire the ID. 3. OFW ID is free. There will be no fees to be collected to receive the OFW ID. 4. 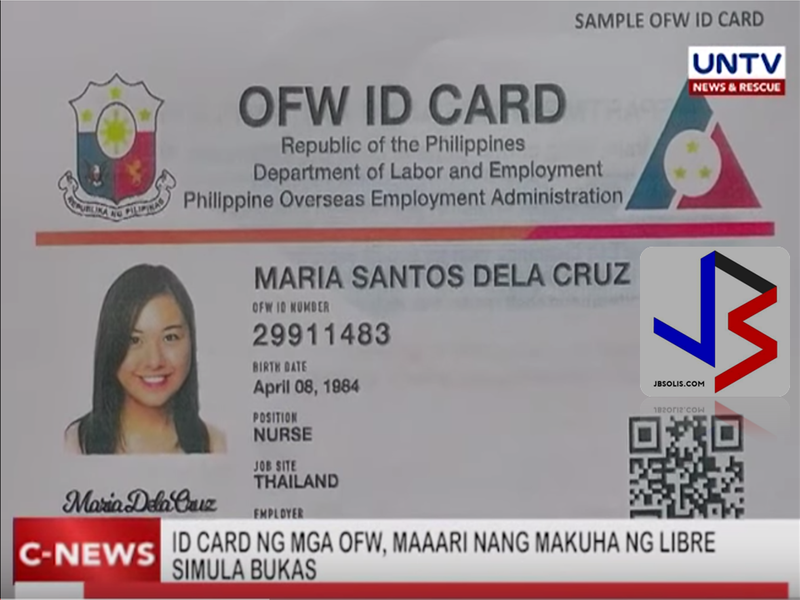 OFW ID can be used as a beep card in taking MRT or LRT rides. 5. It will serve as a debit or credit card in the OFW Bank that will be opening soon. 6. The OFW ID can be used in any government or private transactions. (e.g. SSS, Philhealth and Pag-Ibig). 7. The OFW will only be the prime recipient and receiver. 8. 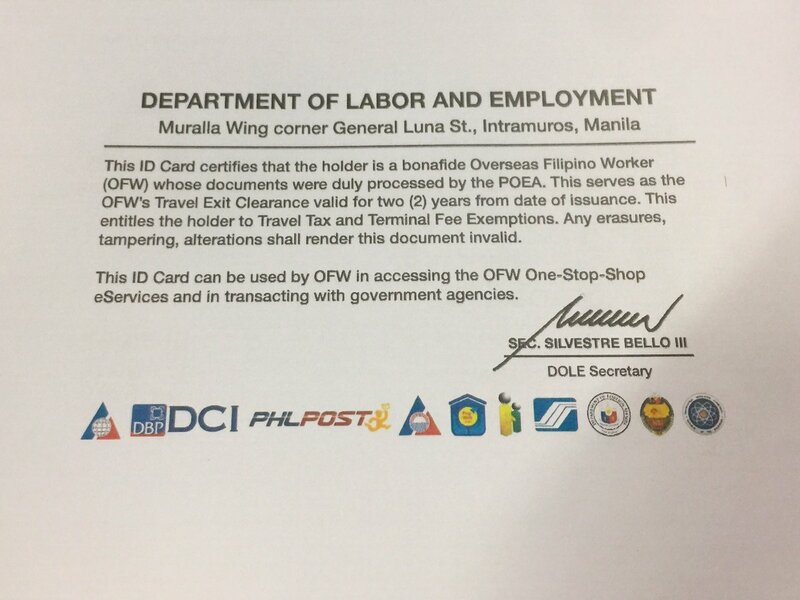 The OFW ID will replace OEC. 9. In the future, it will serve as an e-passport. 10. The waiting is over, It will start on July 12, 2017 to be introduced to President Duterte at Malacanang and will be for distribution starting end of July.